Dans les vergers, une route permet l’accès des touristes. Une jeune femme très branchée sur son scooter préfigure la Chine de demain. Un jour, la pollinisation à la main sera trop chère.///In the orchards, a road allows for tourist access. 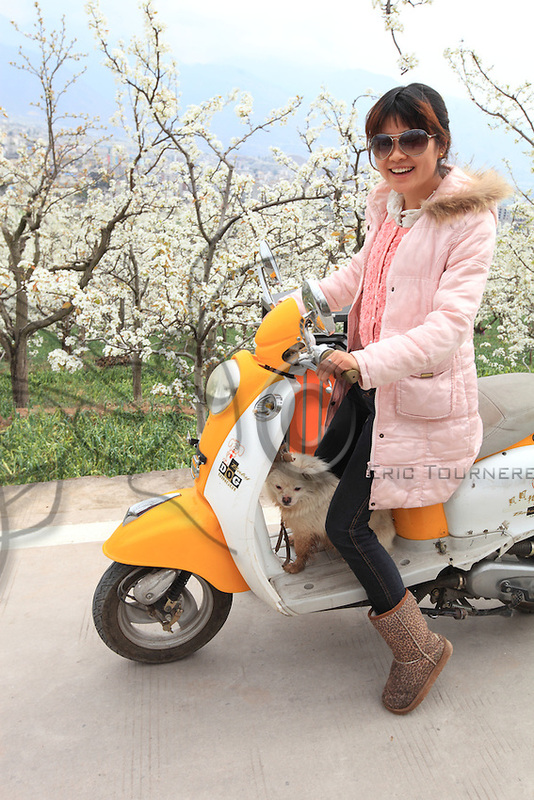 A young, very trendy woman on her scooter prefigures the China of tomorrow. One day, hand pollination will be too costly.